"Do you ever ask anybody what their favorite color is?," Goldblum asked in one of the ads. "How many times do they say beige'? Never. Because it's one of the worst colors. It's hardly even a color, it's like oatmeal or sand. There's nothing —it's beige, it's boring, it's bland. 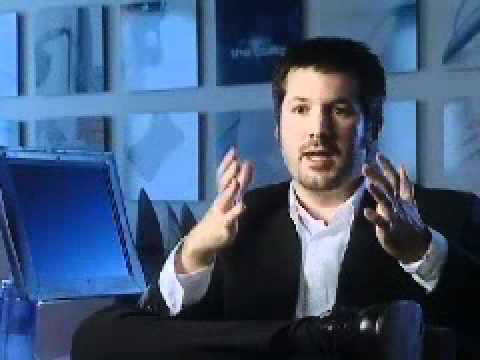 The New York Times was chiefly positive about the iMac but heavily criticized its lack of a floppy drive —and the ability to connect a printer. You could buy a $70 adapter or you could wait for Hewlett Packard's newly announced USB printed to ship. The technology press, which you'd imagine would be more interested in future developments, had some conservative reactions —and over-reactions. Then in early 2001, ruby, sage and snow were out and patterns were in —this was when the Flower Power and Blue Dalmation iMacs were released. Curiously, even as both Jobs and Gates disagreed about this, Apple was in the process of abandoning these colors. In the same month that Gates was mocking color, Jobs unveiled the iMac G4 —and it was all-white. "Rather than glom all these things together and ruin them all —a lower-performance computer and a flat screen that isn't flat any more —why don't we let each element be true to itself?" asked Jobs. 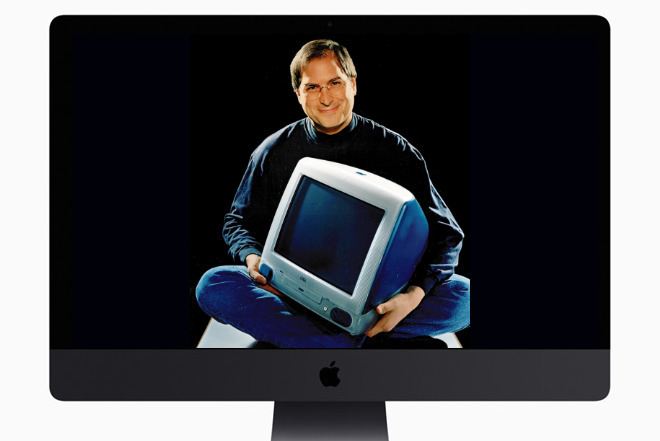 But, if you were looking for a CRT, an evolutionary offshoot of the iMac —the eMac —was available until mid-2006. You couldn't buy that if you weren't an education customer at first, but it was ultimately made available at retail. It was done by Apple going back to what it did with the original iMac and ditching hardware the company didn't believe was needed any more. So, the optical drive was taken out completely and again critics complained —but other firms followed suit. On the inside, there was an 8-core Xeon processor —with the option to buy a 10- or 18-core model too. You could have up to 128GB RAM or twice what a regular iMac can do.